Know your end goal(s). Are you remodeling your home to update certain features (like the kitchen or bathrooms) to improve your resale value? Is your family growing and do you need to create more functional living space? Are you downsizing and want to change the floorplan of your home? As you answer these questions, you will also want to take into consideration the neighborhood in which you live so you will know whether or not your renovations will be a good investment. Have a budget. Once you decide on what you want to have done in your home remodeling project, create a budget. When doing so, you will want to add in a contingency fund for unforeseen expenses. Creating and sticking to a budget will help you be realistic with the project. Maybe you splurge with Quartz countertops but you don’t get the top-of-the-line appliances. The budget allows you to make smarter decisions. Consider the time of the year. A lot of people think about doing a home remodeling project just before the holidays. The problem here comes from the fact that there are a lot of other people who will be doing the same thing and it may take longer to complete your project. The best time to do a home remodeling project is after the holidays or when things are slower. If you need to have a renovation completed for a special occasion, you will want to plan ahead with your calendar so the project is completed on time. Talk with experts. The professionals at Prominent Builders are available to assist you with your remodeling project. We can help you develop the design plan or we can work with your architect. We can also assist you in selecting the best features that fit with your lifestyle and budget. We can even help when it comes to selection of paint colors and the finishing touches. Pack up or move things before the project begins. This part of the process is helpful in getting rid of clutter and planning for your new renovated space. 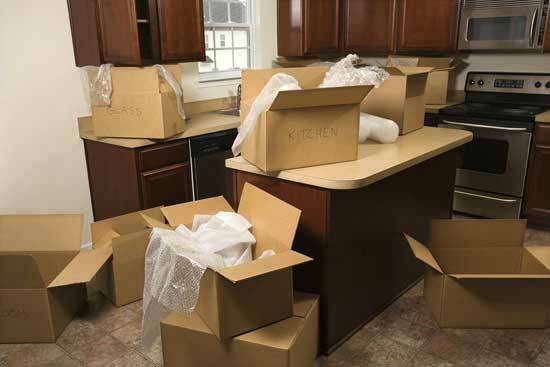 Pack up or move things out of the renovation area well before the project begins. This saves on a lot of the stress associated with getting ready for remodeling. Reorganize your routine. If you are getting ready to remodel your kitchen, how will this affect your daily routine for getting the kids off to school or making meals? Same thing goes for the bathroom. Will you need to share a bathroom with the kids? Figuring out a schedule will hopefully also minimize the family arguments. Protect your kids and pets from the construction area. Young children are curious so you will want to make sure they cannot get into the work zone. Likewise, a remodeling project can be quite stressful for your pets. Make sure they are safe, especially when workers are coming in and out of your home. Plan for disruptions. Will the water or power need to be turned off? Plan for those types of interruptions. The team at Prominent Builders have helped countless homeowners complete successful home renovation projects. We will be with you every step of the way, answering any questions you may have about the project design, budget, and process. Contact Prominent Builders today to get started on your new home renovation project.